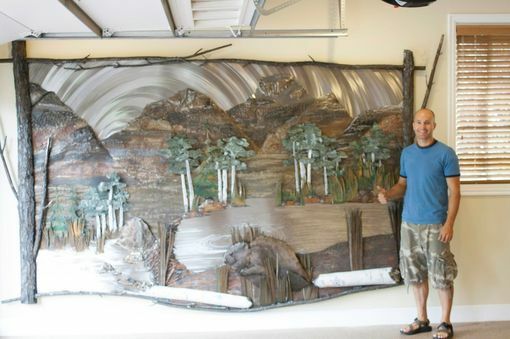 7 ft by 11 ft. large wall sculpture to represent a client's favorite place. --All steel in its many patinas, textures and color variations. What is your favorite scene? Any idea is doable!